John Gustafson died on September 12th 2014 aged 72. Bassist and singer with The Ian Gillan Band John also has many connections with the Deep Purple story. Born in 1942, John Gustafson was a member of the very well regarded early Liverpool beat band The Big Three back in the early sixties, a rock trio which never really broke out but influenced a lot of British musicians (and were particularly admired by John Lennon, who got them signed to The Beatles’ agency NEMS). He then played with The Merseybeats and even cut a solo single before he was asked to join the remaining members of Episode Six after Gillan and Glover left in 1969. There he met Mick Underwood and Pete Robinson. 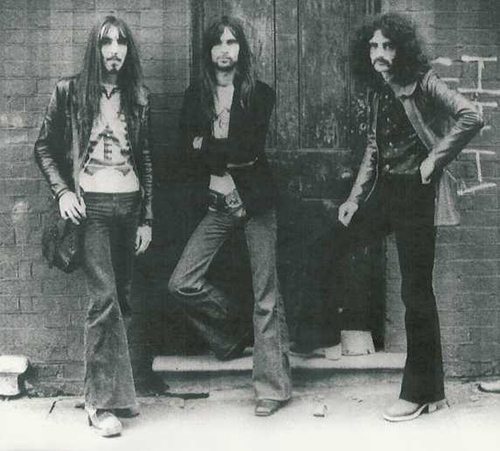 They got on well and decided they’d be better doing their own thing and formed the hard rock trio Quatermass in late 1969 (a band Blackmore was impressed by). 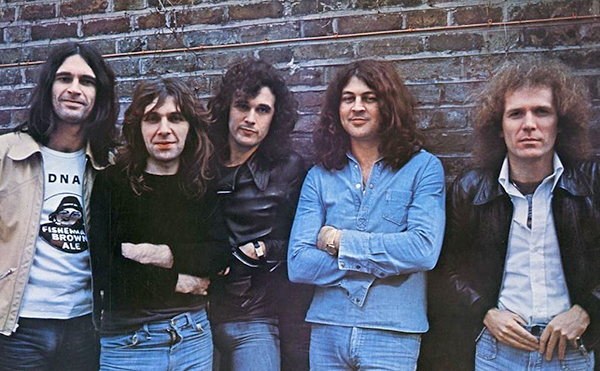 They supported Deep Purple on some UK shows (and John also met up with Ian Gillan during the Jesus Christ Superstar sessions) before one of the A&R guys at Purple records told John Gustafson that John du Cann (whose obituary is also on this site) was reforming Atomic Rooster, and was he interested? This evolved into Bullet aka Hard Stuff, who did two albums issued on the Purple Records label. From there John joined Roxy Music for four albums but also did sessions when time permitted, including one vocal track on The Butterfly Ball. 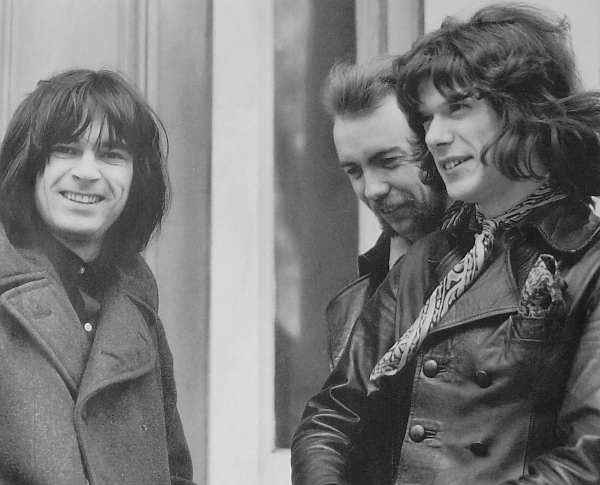 Roger then asked him to do the live show in 1975 along with Ian Gillan. It was here that they got chatting and Ian asked him if he was interested in joining his new band. Ian Gillan had been following a number of business projects since leaving Deep Purple but was finally ready to cut a solo album. Child In Time sessions proper began at Musicland in December 1975. Although Ian had been using session guys on his earlier solo work, he assembled a band for the album consisting of Mike Moran, John Gustafson and Ray Fenwick (who had all played on the Butterfly Ball project) and ex-Elf percussionist Mark Nauseef. Moran bowed out and was replaced by ex-Elf / Rainbow keyboard player Mickey Lee Soule for a few shows (in turn replaced by Colin Towns) to form the first live IGB line-up. 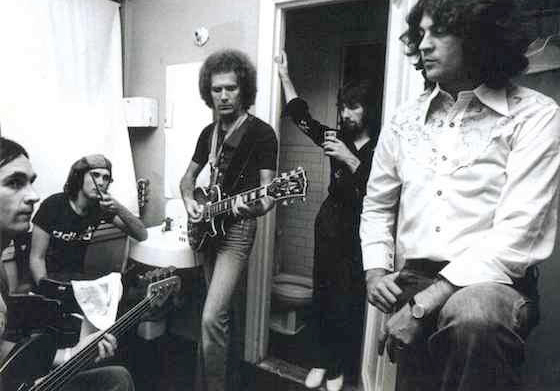 John Gustafson stayed with the band through two more albums, Clear Air Turbulence and Scarabus, as well as a number of tours in Europe (and some shows in America), and recorded the Budokan live set. After a tour of the UK college and club circuit in May 1978, Ian decided to bring the band to a halt and all bar Colin Towns moved on. Ian Gillan remembered John when he came to record his Naked Thunder album in late 1989, and John helped out on that doing backing vocals. In his later years John’s longest spell was with a reformed Pirates line-up which lasted seven years or so. John was also much in demand for sessions, and his list of album credits goes well over 100 titles, from Jerry Lee Lewis to Steve Hackett. Excellent bassist and vocalist, the magnificent Quatermass album is one of my all time favourites, RIP John. A very fine singer/bass player and humble guy, who probably influenced far more musicians than he realised. I first saw John in Redcar, playing with seminal Liverpool band The Big Three on a cold December night in 1963. The image of him hammering it out on his Fender P bass is still with me. Rock on John! Nice comment John, envy you that cold evening memory. Very sad to hear of John’s untimely passing. I really enjoyed the Quatermass and Ian Gillan Band (IGB) albums! And I go back to them often as they are unusual and interesting and memorable in their own way. Well done John for such an enduring contribution.